Many who work in the transportation industry are suffering with sleep apnea and must use a CPAP machine in order to work. 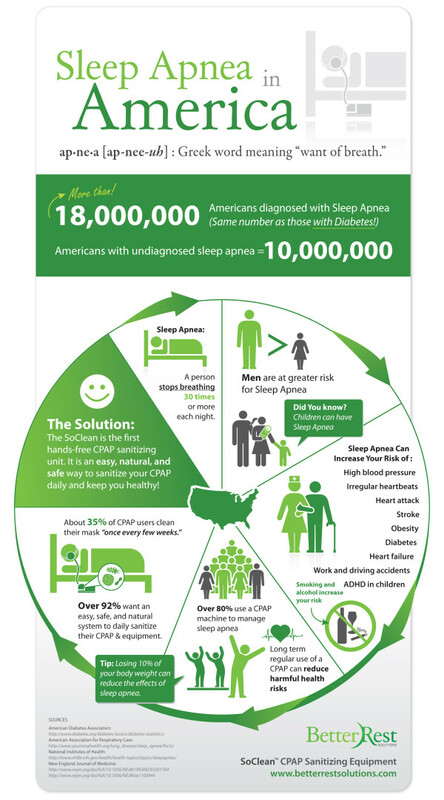 This week is National Sleep Awareness week when people around the nation celebrate the benefits that healthy sleep provides. The Centers for Disease Control and Prevention (CDC) states the insufficient sleep is a public health epidemic. According to the CDC, sleep quality, duration, behaviors, and disorders need to be monitored in order to show its health impact on Americans. One of the many concerns with sleep deprivation is driving sleepy especially for commercial truck drivers. Disturbance of sleep compromises mood, performance, and alertness which can result in the inability to pay attention and react to signals, which then can lead to injury or death. One particularly serious disorder that can lead to sleepy driving is Obstructive Sleep Apnea (OSA) or sleep apnea. According to the World Health Organization approximately 100 million people worldwide have OSA. In the U.S. alone over 23 million Americans (approximately 25% of OSA sufferers) have been diagnosed with OSA and an estimate of millions more whom have not yet been diagnosed; so many of these people are behind the wheel on their way to work, school, or driving commercially on the interstates. With these staggering numbers of Americans with the disorder the use of Continuous Positive Airway Pressure (CPAP) therapy is growing exponentially. OSA is a syndrome caused by obstruction of the upper airway. It is characterized by repetitive pauses in breathing during sleep, despite the effort to breathe, and is usually associated with a reduction in blood oxygen saturation. These pauses in breathing called “apneas,” typically last 20 to 40 seconds. Because sleep apnea is a chronic condition that requires long-term management, it also requires long-term maintenance of the equipment. With CPAP therapy comes many challenges and one is keeping the equipment clean and sanitized, especially if traveling on the open road. Better Rest Solutions’ innovative product, SoClean™ automatically completes the daily chore of sanitizing a CPAP mask, hose, and reservoir without any disassembly. It uses ozone or “activated oxygen” to eliminate any mold, bacteria, and viruses it comes in contact with—safely and effectively. The SoClean utilizes this ozone to sanitize CPAP equipment and kills any bacteria or viruses that might be living in or on the end-user’s equipment and mask. Keeping CPAP equipment clean and sanitized helps keep the end-user healthier and more compliant to therapy, which in turn helps to decrease the chances of experiencing the dangers of sleep apnea and driving sleepy. It is critical to ensure commercial truck drivers are experiencing proper sleep apnea treatment and therapy coupled with an effective, effortless, and transportable way to clean their equipment on the road. This will help to better protect the traveling public from the dangers associated with truck drivers on the road that suffer with sleep apnea. In addition to the SoClean product, Better Rest Solutions also carries a natural, non-medicine sleep-aid that is designed to help those that struggle to fall asleep. ResTones™ the Binaural Beats Sleep Aid can help bring positive sleep results without drugs or supplements with the soothing sound of binaural beats in each ear. The MP3 player comes fully loaded and ready for use—night one. In honor of National Sleep Awareness week ResTones is available with a special discounted price of $29.99. To order the SoClean, order directly from Better Rest Solutions at http://www.betterrestsolutions.com. Or contact CareFusion by phone at 800.582.7458 or by email at tiarasales(at)carefusion(dot)com. Many of the employees at Better Rest Solutions either have, or have a close family member who has obstructive sleep apnea. Their personal insight into this condition is part of the foundation that they have built their company on. They are dedicated to providing relief for OSA sufferers and are proud to be offering the SoClean as a way to get the most out of CPAP therapy. Besides the health benefits connected with using germ-free equipment, there is a peace of mind that comes from knowing that the end-user’s CPAP equipment is as safe as can be. ResTones Better Rest SolutionsSleep Innovation Automated device uses activated oxygenCPAP Sanitizing device Sleep Apnea in AmericaApnea: Greek for "want of breath"